List Rules Vote up the most hilarious SNL cast member live, on air, accidental giggle fests. The best SNL skits where they laugh so much that other cast members break are the best. Saturday Night Live cast members who break character have a domino effect and the SNL sketches where they laugh is one of the reasons people still watch. A live show with this many smart asses and chances for things to go sideways is going to have some beautiful train wrecks. Out of all of the Saturday Night Live cast, who were the breakers and who were the breakees? Imagine being on that live stage opposite Chris Farley. It was Farley’s job to break down other cast members and he took sheer delight in it. Will Ferrell also took out his fellow cast members, but usually quite by accident. He gets right up in Chris Parnell’s face in the cowbell sketch but Parnell is made of iron. Rachel Dratch regularly broke people up and usually leads the SNL sketches where they laugh on the show. Her sketches with Will Ferrell as the over-sharing meat-loving professors, The Love-ahs, never failed to bust up anyone in the scene with them. They also managed to freak themselves out and barely make it through the bit. Jimmy Fallon got crushed by this formidable duo during an early Love-ahs sketch. Fallon, Adam Sandler, and Eddie Murphy didn’t need much help from their Saturday Night Live cast members - they cracked themselves up. The only person who could hold their own against an SNL comedy attack was Christopher Walken. He shined liked a beacon in a Love-ahs sketch as Walter. He never cracked once in the cowbell sketch. He is a mighty fortress against SNL cast members who break character. Which SNL skits where they laugh tickled your funny bone too? Upvote your favorites and have the last laugh. Will Ferrell was also a master at making other cast members break. 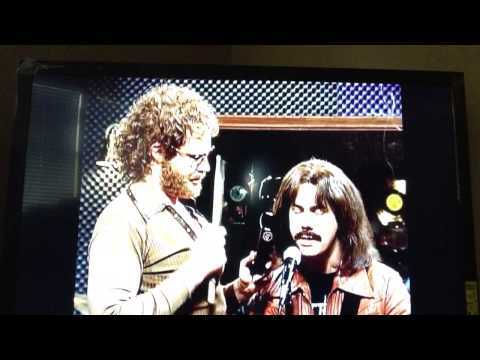 Ferrell’s fictional member of Blue Öyster Cult playing cowbell ends up totally crushing Jimmy Fallon with his Ferrell-ness. At first, the other castmates Mario Lopez, Chris Parnell, and Chris Kattan, hang in there but Fallon goes down once he and Ferrell are face to face. Ferrell falls on his own comedy sword. 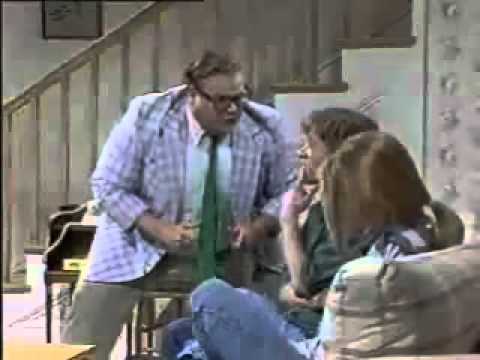 This was the first time Chris Farley debuted his motivational speaker character, Matt Foley, on Saturday Night Live. He had perfected the character at Second City but David Spade had no idea what it was going to entail. Host Christina Applegate was even more in the dark. When Farley swung into full-on Foley, Spade and Applegate lost it and never recovered. Applegate had to hide her face with her hair. Spade, who is more featured in the shot, was completely shut down. Farley’s goal was to break his fellow cast members and he was a master at it. Watch the full sketch here. Kate McKinnon's alien abductee took out Aidy Bryant, Bobby Moynihan, Cecily Strong, and most of all Ryan Gosling. It's rare to see Bryant or Strong break. From the very beginning of the sketch, McKinnon, usually solid, is on shaky ground. Glorious. Chris Farley and Adam Sandler together meant two things: It’s going to be funny/strange and someone is going to break - probably Sandler. During this straightforward bit where Farley reads from a Zagat guide dressed as his wife, all Sandler has to do is shout things to God. He’s fine until Farley rubs his leg. Then he breaks.